Your website is where first impressions are made. You only have one chance to make a first impression, and that impacts interest in your brand, leaving visitors to potentially want more. If they want more, they will return and will perhaps linger longer. A strong web presence is important in this competitive, digital world. You need to stand out in your industry that grows by leaps and bounds daily. You don’t want to be easily forgotten among the masses. You want to be memorable! You want to develop trust. This evolves into loyalty. And that, develops long lasting customers. Along with that enticing, attractive, eye-catching first glimpse into what you, your brand / website is all about, it must remain constant. The entire user experience must be guided along through a balanced mix of print and graphics that maintain an attractive quality along with an ease of use. 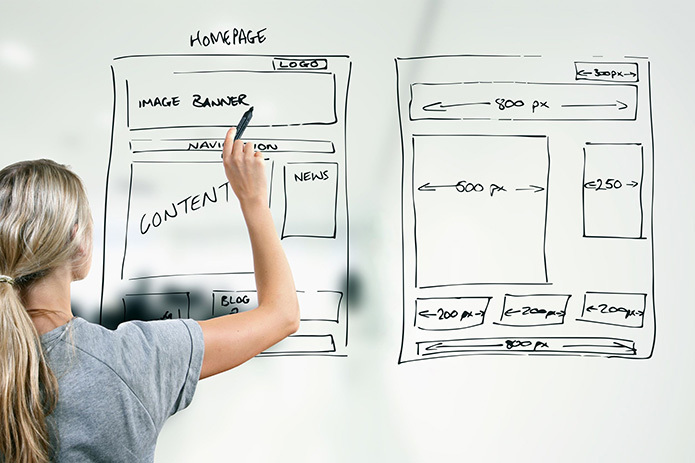 Your website needs to be designed for the user, but always with the business objectives in mind. For longevity in this digital business world, you need to always keep your long-term goals close to heart. Connecting with the right people matter! How do you know who they are! How do you find them? What you are all about and what you have to offer needs to link with those that need just that! This is your target audience, your target market. Streamlining it to them is good business sense. People talk. They’re opinions matter both pro and con. In today’s world that is expressed so widely with numerous social media platforms, you want the positives. An experienced digital marketer knows how to not only build and maintain your website, but also how to promote it, and secure those five-star reviews and high rankings on search engines. If you have any questions about obtaining, maintaining, and promoting an enticing website for your business, please give us a call. We’d be happy to work with you! Web Fox Marketing is a Michigan SEO and web design agency. We serve our local community near Livonia, Novi, Farmington Hills, West Bloomfield and beyond. In addition to digital marketing services, we are experienced in search engine optimization, pay-per-click marketing (Google Adwords), website development, social media marketing, and more!